Applying to a Defence Engineering and Science Group (DESG) graduate trainee scheme? The DESG only take the best candidates, and you must use each stage of the recruitment process to prove that you are indeed one of the best. Preparation is key for mastering the recruitment process and JobTestPrep is here to enable your success. The Defence Engineering and Science Group is a corps of professional engineers and scientists who work to equip the armed forces with state of the art technology. 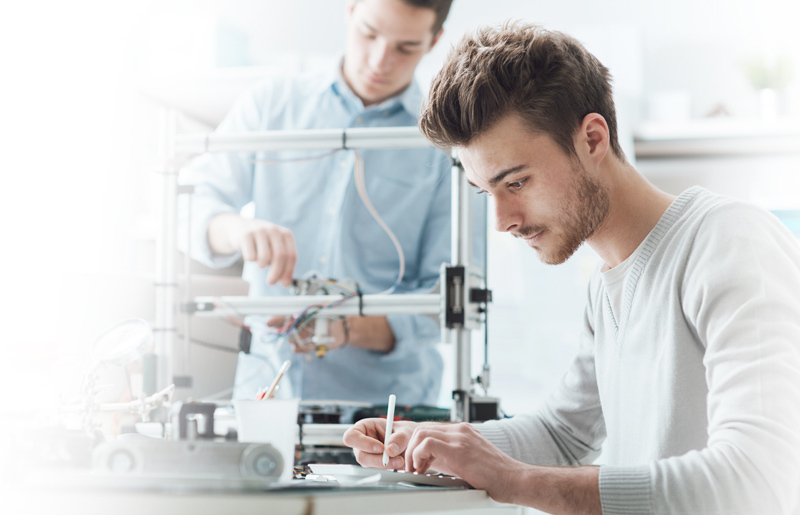 The two year graduate training schemes are considered some of the best destinations for engineering and science graduates in the UK. This means that there is high competition for each place on the scheme. Once candidates can prove they fulfil the eligibility criteria, they must then spend the rest of the recruitment process proving that they fulfill the other criteria for the job. The first stage of the application process is to fill in the application form. The application form is the first hurdle, but also your first opportunity to sell yourself to the recruiters. Take care with your answers, plan them in advance before you fill in the form, and don’t forget to answer any competency based questions with examples of past experience organised using the STAR method. Once you have sent in your application form, you are sent a link to an online Situational Judgement Exercise. This exercise will be considered alongside your application form when it comes to shortlisting your application. Situational Judgement Tests (or SJTs), evaluate your behaviour when faced with hypothetical situations of the type you can expect in your day to day work. In a SJT you are generally given a hypothetical situation and several different responses to the situation. Depending on the test you are sitting, you are either asked to pick out the best response, or to rank all the responses from best to worst. Although each SJT is tailored to the industry you are applying to, you can prepare for SJTs by taking practice tests and learning how to use your “work voice” to choose the correct path of action and improving your confidence in your judgements. JobTestPrep’s practice Situational Judgement Tests can help you get all the preparation you need. The final stage of the recruitment process is a specially designed assessment centre. At this assessment centre you will face various exercises, both group and individual. These test you across a whole range of skills. You are given a space in the main room of the assessment centre which is your work space for the day, but you will move around as you participate in different exercises. Ambition to work on the cutting edge of technology. Ability to lead people and work effectively in teams. Interest in developing yourself to your full personal and professional potential. As part of the day you will have an interview with a member or panel from the recruitment team at DESG. In this interview you are asked to describe situations where you have demonstrated certain behaviours in your past experience, be it work, academic or other experience. See the JobTestPrep website for advice on how to tackle this type of interview. Try to prepare a list of examples before you go into the interview so that you do not forget them under pressure; organise your examples using the STAR method (Situation, Task, Action, Result); and plan answers for some of the common questions you can expect. For some sample answers, see our free guide to interviews. The DESG role play is a one to one role play between you and an assessor. An exercise previously used is where you, the applicant have to manage a one to one meeting. In the course of the role play you have to show how you manage situations both in and outside of your usual experience. Prepare for the role play with JobTestPrep’s role playing pages. You will have at least one, and possibly two written exercises during the DESG assessment day. These exercises can take any format from formal report writing to an informal email or letter to a colleague. Prepare for the different styles of written exercise you may face with JobTestPrep’s online practice pack. This exercise can take any format; for example, you may be given a pack of materials, and asked to produce either a written briefing or deliver a verbal briefing to one of the assessors. You may also be given a briefing in verbal format and asked to put it into writing. Prepare for a briefing exercise with JobTestPrep’s case study pages. This is one part of the day which is not assessed, but which is valuable to you as a candidate. In this session, current graduates will tell you about their experiences of working with DESG, and will be on hand to answer any questions that you may have. You may find it useful to prepare some questions you want answered before the day. Competition for places on the DESG graduate training scheme is extremely high, reaching over 1,000 applicants some years for 100 places. With these odds, if you want a place at DESG, you must perform at the top of the group at each stage. Start practicing today with JobTestPrep to perform at your optimum level. Good luck!